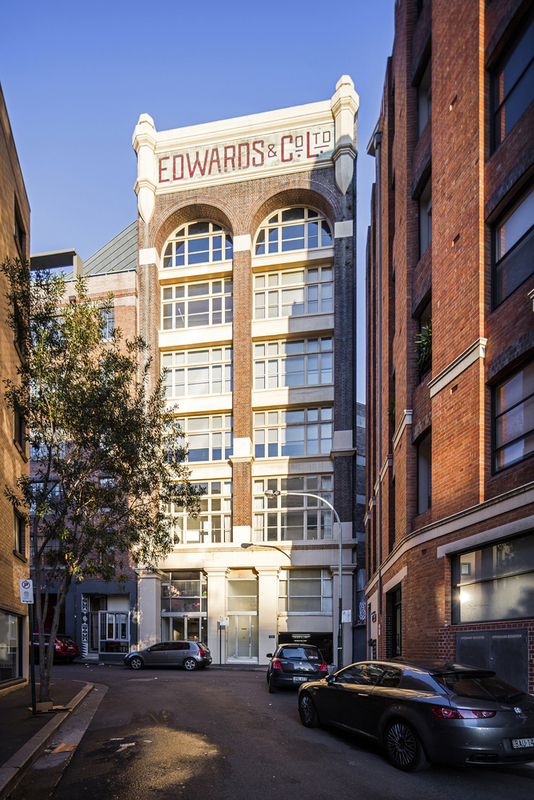 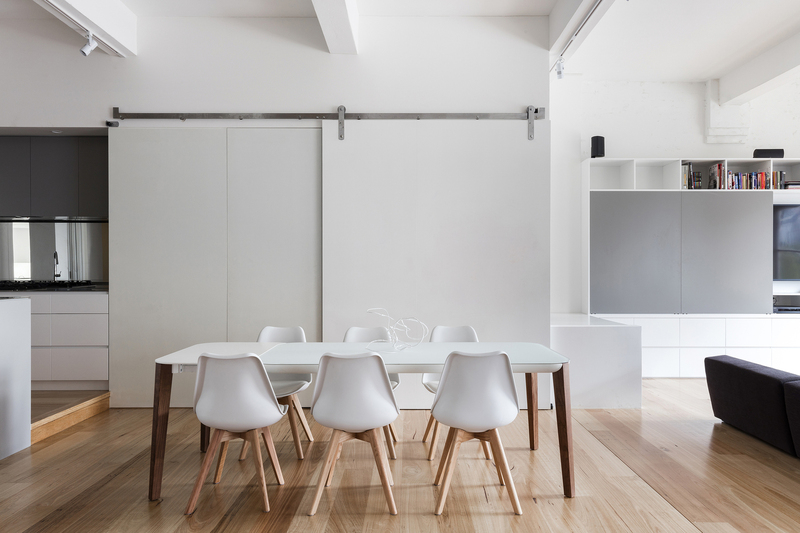 This sublime warehouse conversion led by Josephine Hurley Architecture is in one of Sydney’s most recognised local heritage buildings, the distinctive Edwards & Co. building. 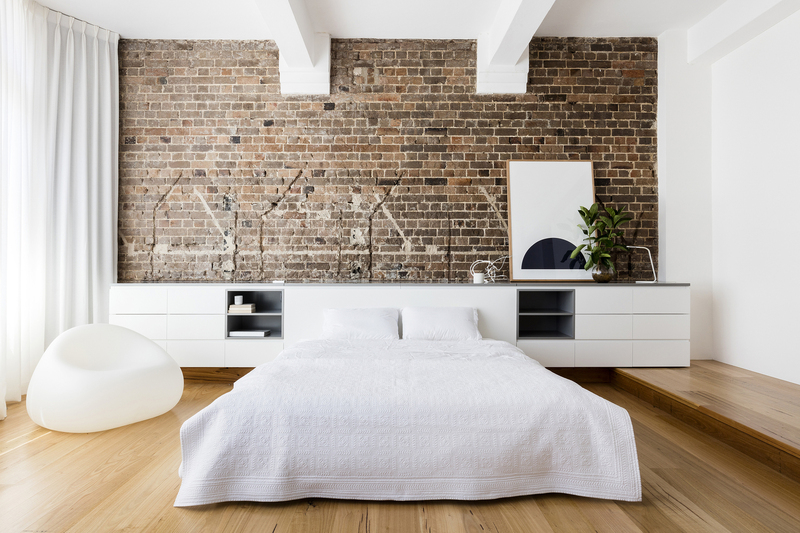 The building is wedged into a narrow street in the fast regenerating inner-city suburb of Surry Hills. 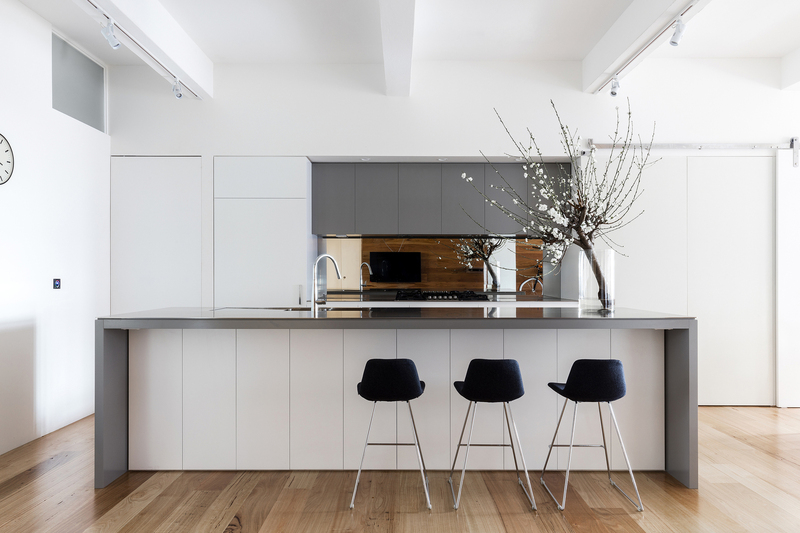 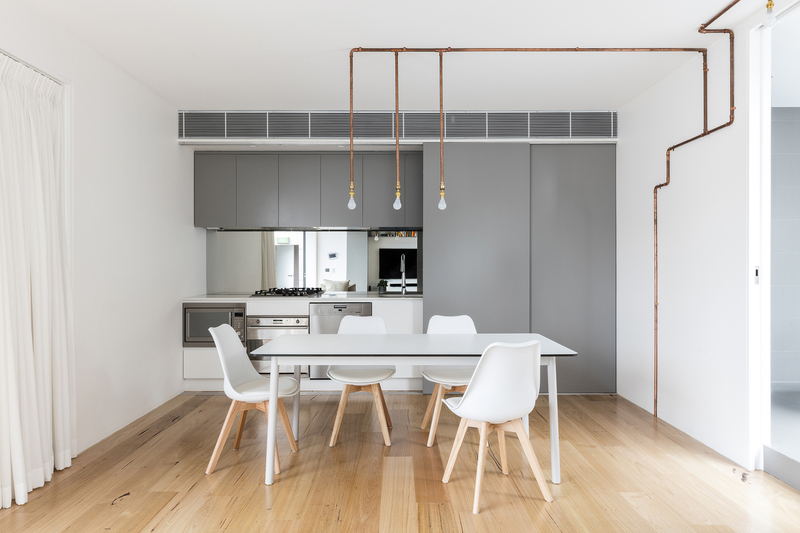 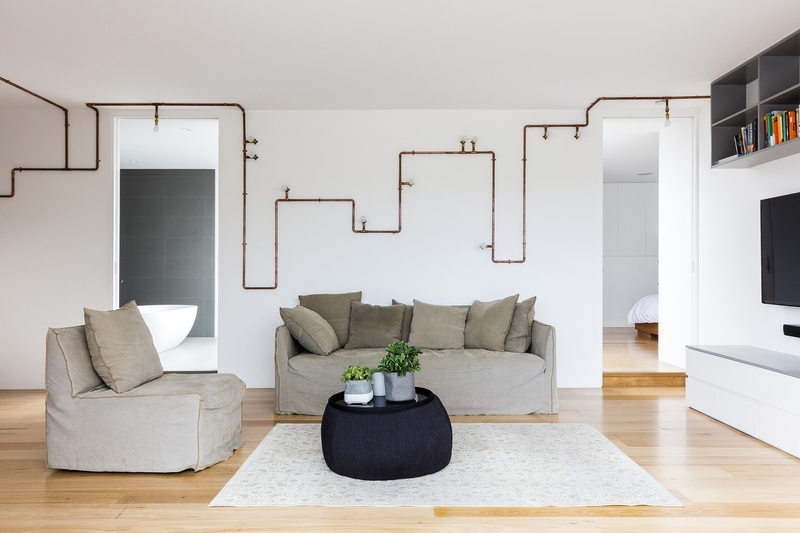 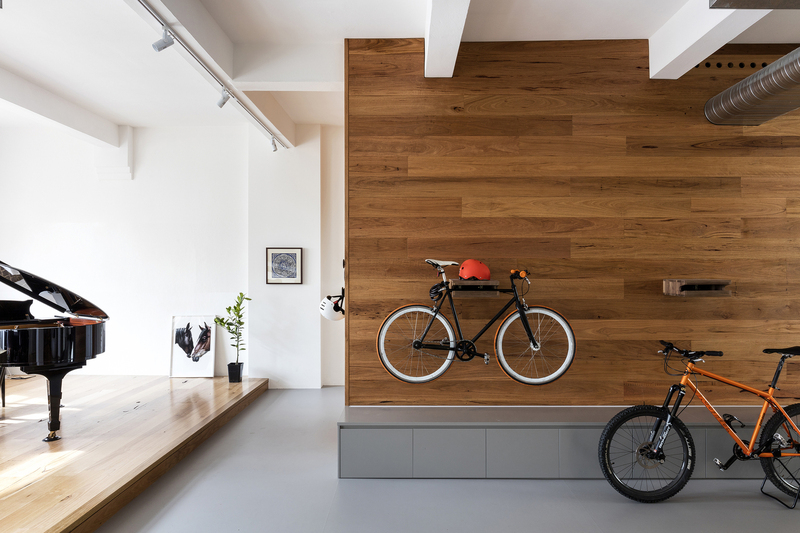 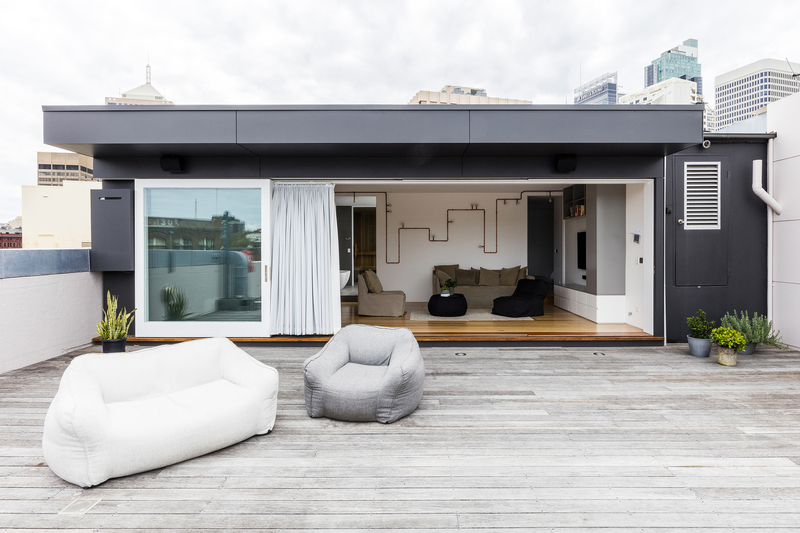 Formerly a tea factory in the 1920s and more recently an advertising agency, the brief was to breathe new life into the 300-square-metre space as a private residence that spans two levels. 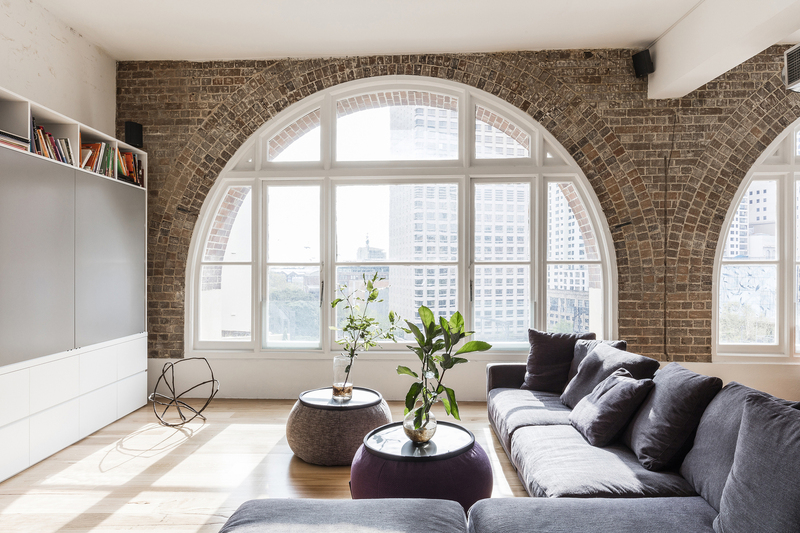 Level 6 with the iconic arched windows was completely gutted and the former caretaker’s office was demolished and replaced with a guest retreat on the roof, located behind the emblazoned parapet. 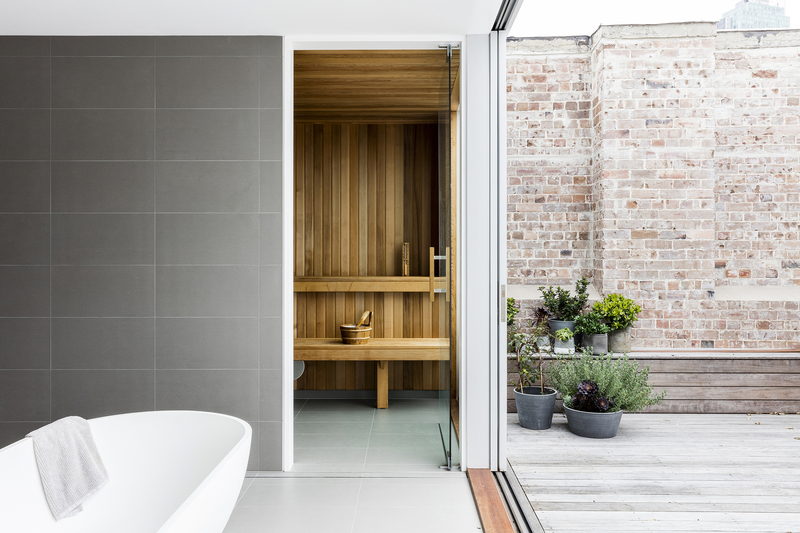 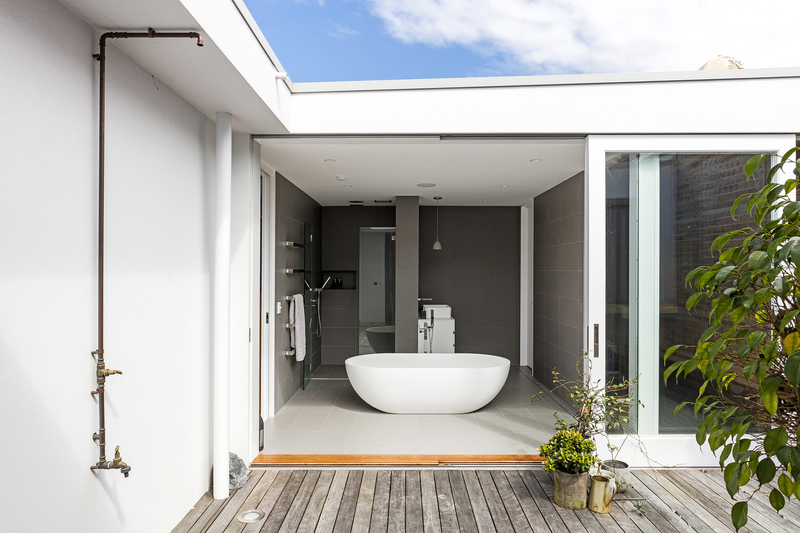 The client brief focused heavily on the notions of comfort, practicality and respect for the building. 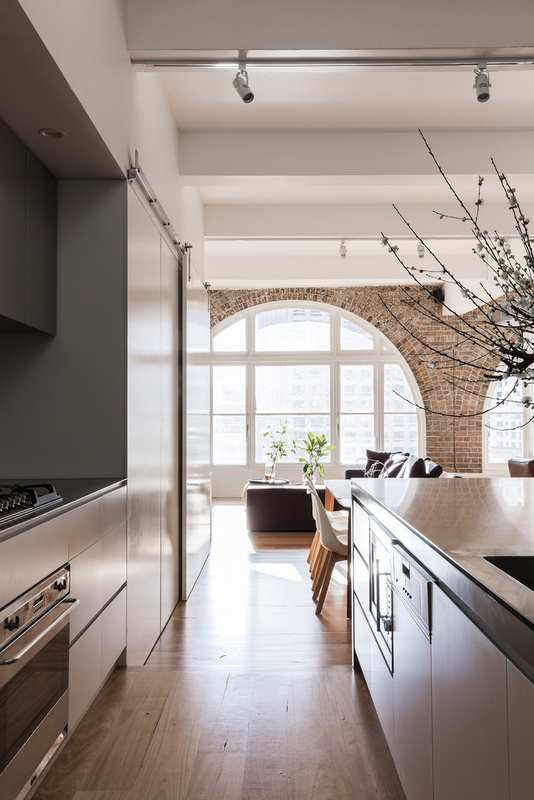 The client, an architect-turned musician wanted the architecture to be a backdrop that would facilitate everyday living and transform depending who was there. 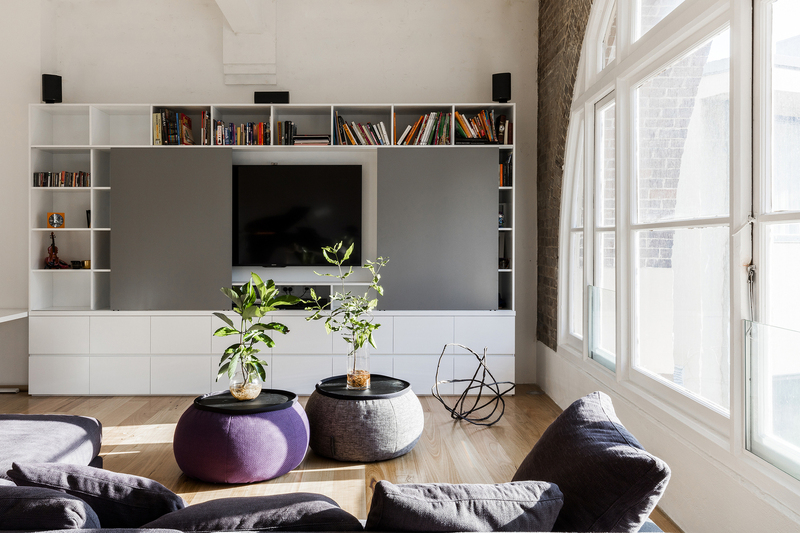 The concept hits a collection of restrained and understated installations that uncovered, retained and celebrated the existing heritage fabric of the building!